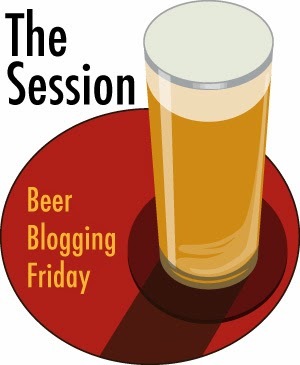 My good mate Al from Fuggled is hosting this 114th Session. The topic is one dear to his heart: Pilsner. Hailing from Scotland but having spent over 10 years in the Czech Republic and growing very fond of the national drink that is Pilsner, it's an apt topic for him. Here's the announcement. If you want to participate, just write an article and comment with the link on that page. Perhaps it was fortuitous but on this Beer Blogging Friday with a topic of Pilsners, I found myself in the best place to do a little research. 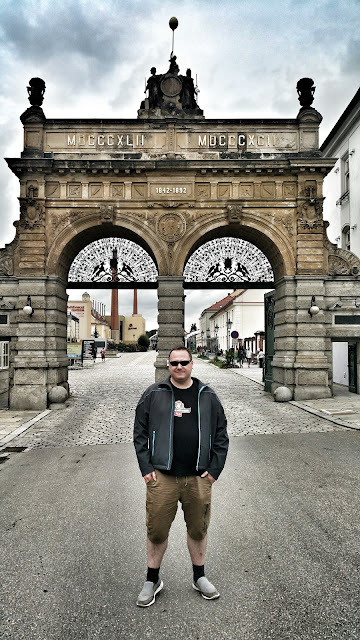 That's right, I spent the day in Pilsen at the Pilsner Urquell brewery. A few media types were invited to the brewery to see how things work and it was a pretty special experience other than the heavy rain. These are the old direct fired kettles which now serve as a museum piece for tours. 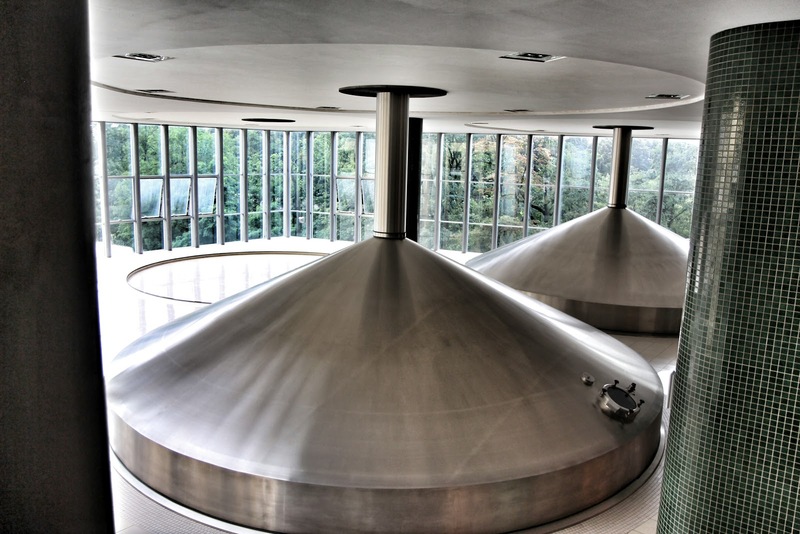 They were used until as recently as 2004 when production moved to a larger and more modern brewery building. These shiny vessels are the lauter tuns where the strike water is heated to the desired temperature needed for the infamous tripple decoction mash that Pilsner Urquell still use, despite being time consuming and expensive. 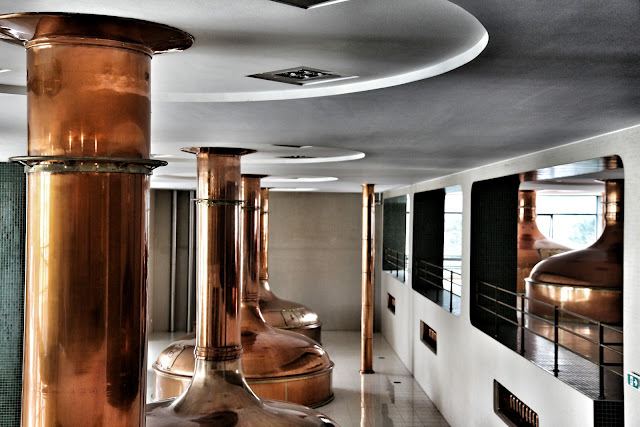 They still use beautiful copper mashtuns and kettles in the new brewhouse. 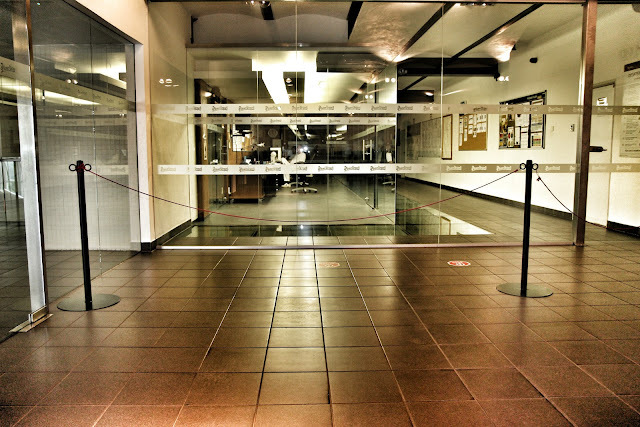 Everything is clinically clean and while modern, still ushers a sense of beauty. Brewers are hard at work monitoring the whole process. Unlike a microbrewery, there's a lot less manpower needed to brew in a brewery the size of Pilsner Urquell. The bottling line is something to behold. The plant can process up to 120,000 bottles per hour though I think each line does in the region of 60,000 per hour. 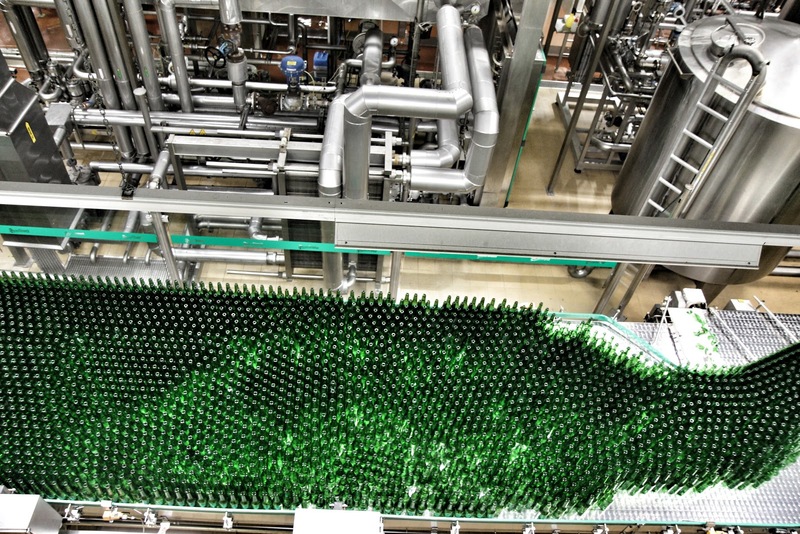 Like Germany, Czech breweries re-use bottles so they need to be checked for damage with a special machine which takes thousands of images and processes them instantly. Anything that looks damaged is removed from the line automatically and if it's not clean enough, it gets sent back to the bottle washer. When I was there I saw one bottle with a cap still on, one with half a label stuck on and one was completely smashed but had been moved to a side section. All of this was being taken care of automatically. 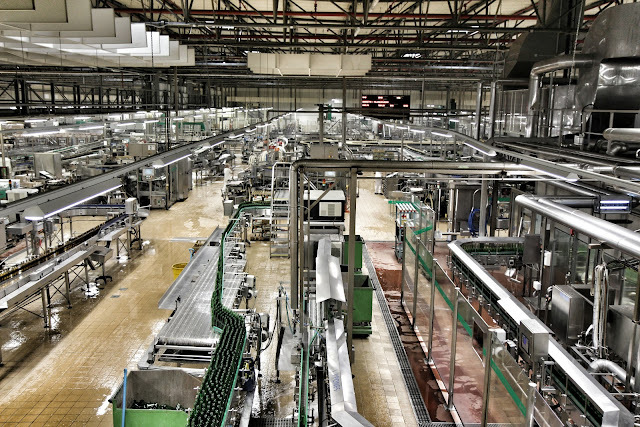 Before the automation, each line would have had 7 workers manually keeping things going. 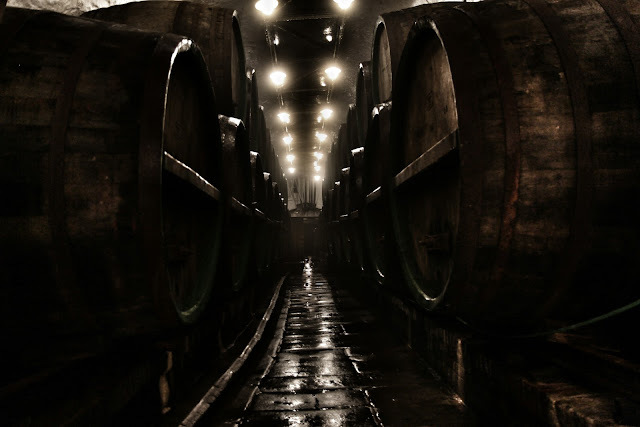 While the brewery building is itself fascinating, the main attraction of a visit to the brewery is when you are taken down to the cellars to see how the beer was once aged. 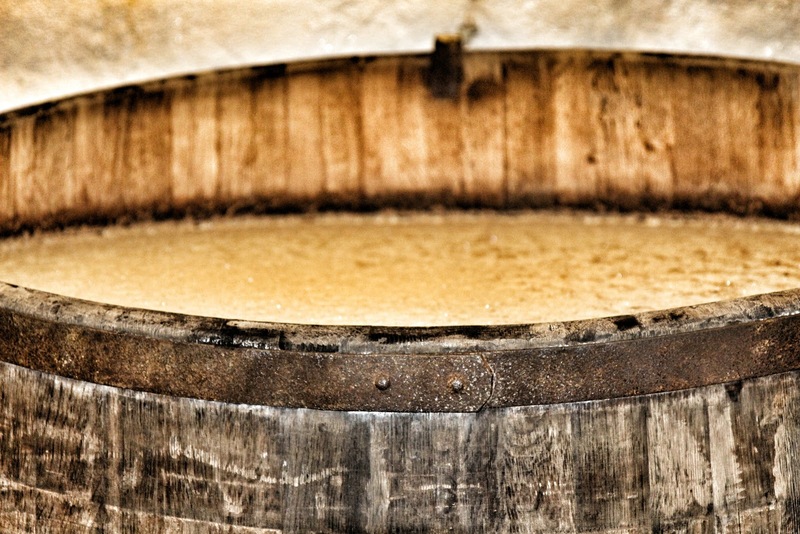 A certain part of the beer is still aged and fermented down there, mostly to ensure that the modern beer tastes exactly the same as the traditionally matured version. 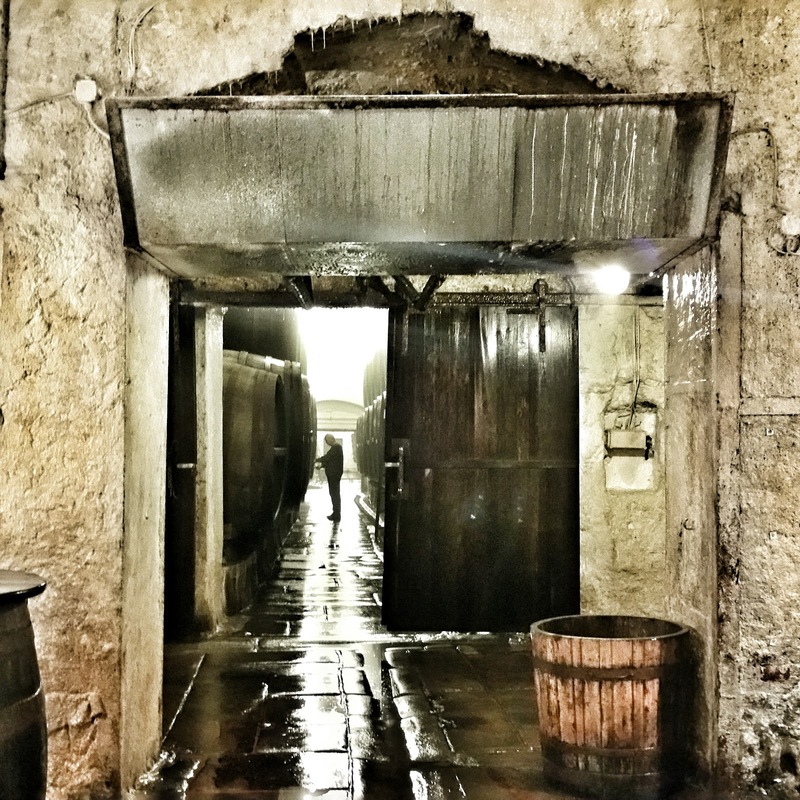 The cellars are astounding and it was raining almost as heavily underground as it was outside. 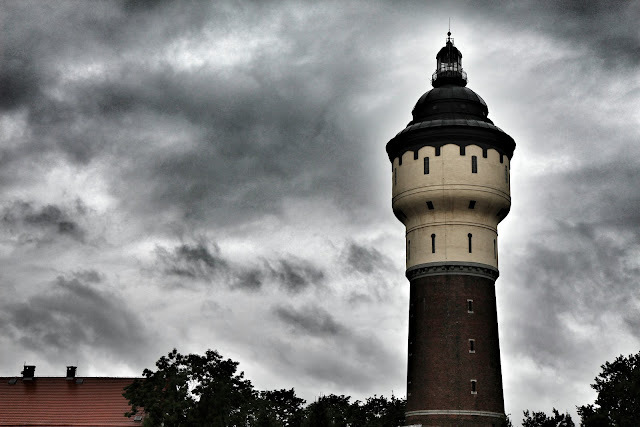 In fact, they flooded a few years ago due to heavy rainfall. Apparently no beer was lost as the barrels had just been emptied so that was good luck. It feels like you are in a network of caves, they even have stalagmites forming on the ceilings and it's very cold down there. 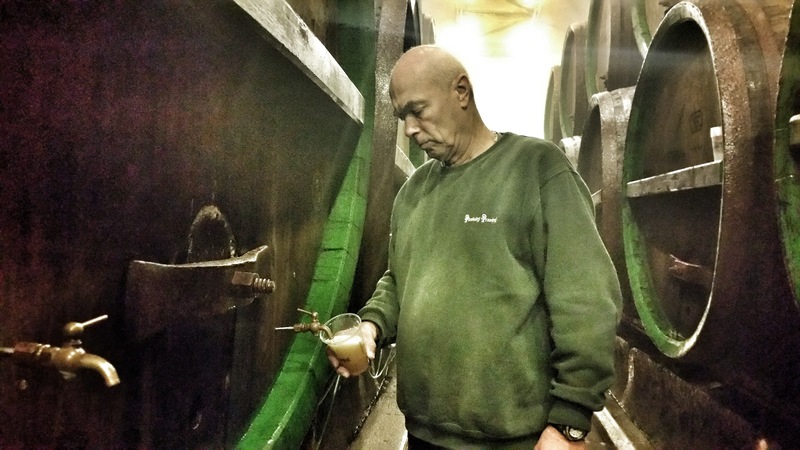 No visit to the cellars would be complete without drinking the maturing Pilsner Urquell direct from the wooden barrel. Unfiltered, unpasteurised, just real beer and what a beer it is. 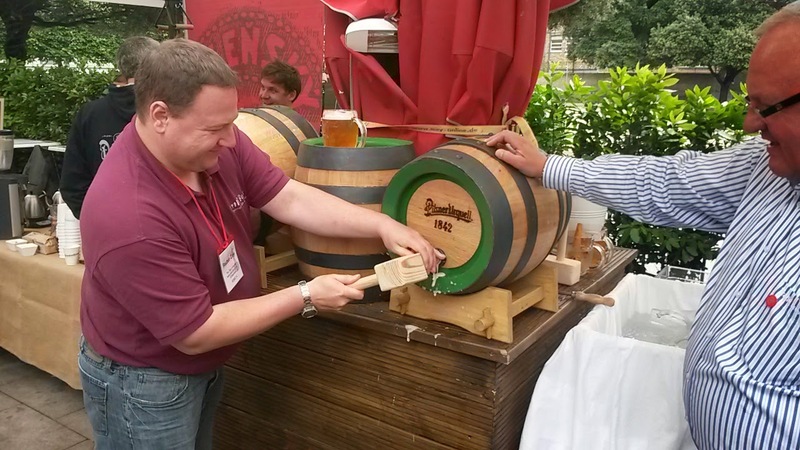 I've had it many times at the Beer Bloggers Conference as you will see in this image where I'm tapping one of the barrels at the Dublin conference in 2014. 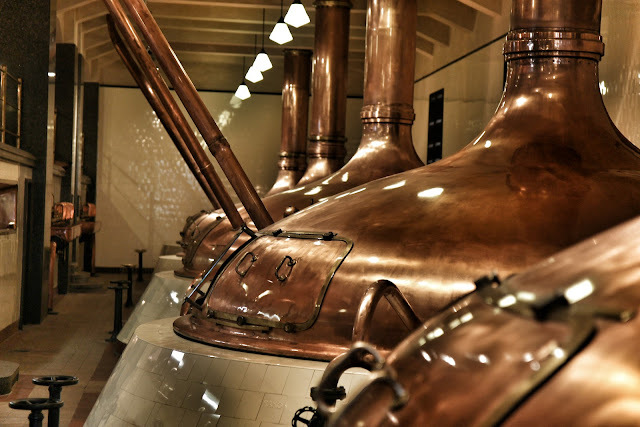 One of the defining features of beer made in Pilsen is the super soft water they have there. There are very few minerals in it and it's perfect for a pale lager. 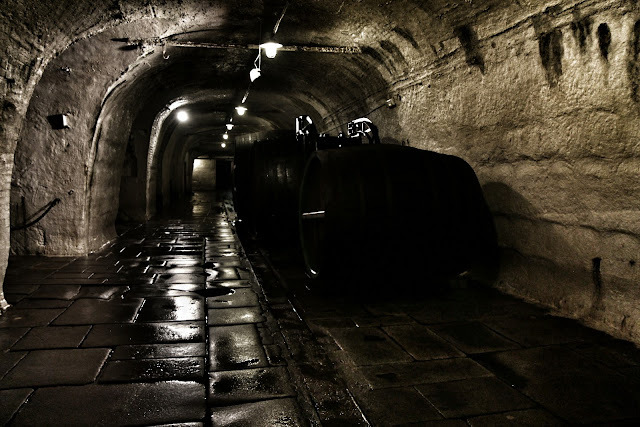 I didn't catch his name so we'll just call him the cellar-man. He kindly poured our beers for us to enjoy before we went to the onsite restaurant for lunch. This is probably the closest to the original pale lager first brewed here in Pilsen by Pilsner Urquell that one can get. That one beer literally changed the beer world for ever with over 70% of all beer consumed in the world being a pale lager. I would personally say that most are a poor imitation of the original. Except where it comes in a green bottle because it just tastes the same as any other lager in a green bottle. Skunked! 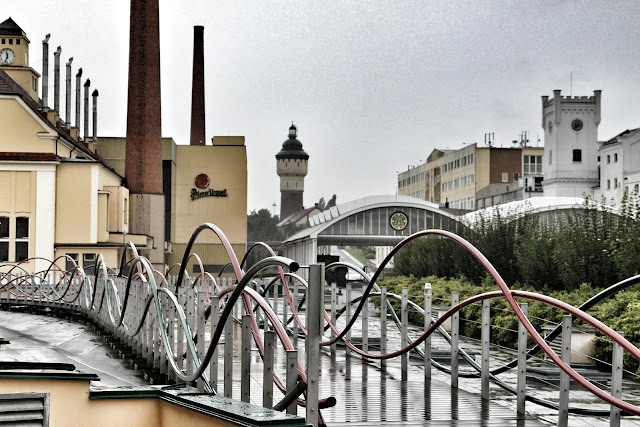 Never drink any beer, Pilsner Urquell included, from a green bottle. They do brown bottles now for the US market and of course the cans should be pretty safe. For me, on draught, especially from a tankovna is the best way to enjoy it. We have one in Dublin actually at The Bridge, but I haven't had a chance to to try it yet. I must rectify that. The food at the restaurant was pretty amazing and of course the Pilsner was flowing. If you like beef, make sure you get the steak tartare. It's traditional in the Czech Republic and they do it amazingly well at the Na Spilce restaurant. I had the pork knee which was epic in stature. The restaurant itself is massive and is located in former maturation cellars. Thankfully, they are not as damp and cold as the main cellars. I had lunch with head brewmaster Vaclav Berka and Robert Lobovsky today whom I'll be seeing again in a couple of weeks in Amsterdam at EBBC16. We also saw the graduation of 3 new PU Tapsters after spending a week learning how to pour the 3 different types of Pilsner pour and whatever else tapsters are expected to know. They have a video here explaining the different pours. Unfortunately, I had to leave early to get back to Prague airport. I was put in a taxi at 3 and driven to the airport as my flight was at 6. 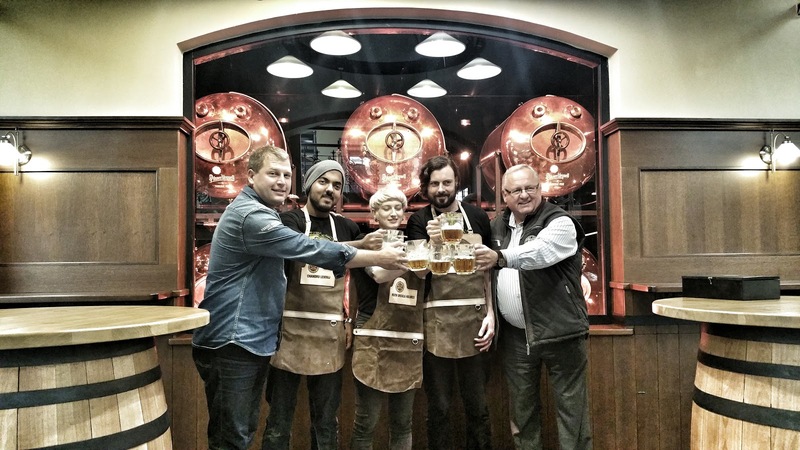 I would like to thank the Pilsner Urquell team for a wonderful 2 days. I would have loved to stay the whole weekend and explore how Prague has changed since I was last there but I had to get home as tomorrow is the Beoir AGM in Belfast.